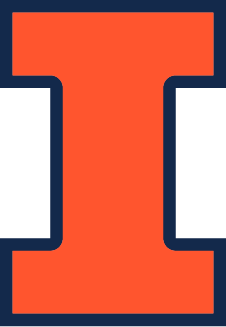 The Information Assurance Courseware Evaluation (IACE) Review Committee certified that University of Illinois courseware maps 100% to the Committee on National Security Systems (CNSS) National Training Standards 4011 (for Information Systems Security (INFOSEC) Professionals, NSTISSI-4011) and 4013A (for System Administrators (SA), CNSSI-4013 Advanced Level). The IACE Program provides consistency in training and education for the information assurance skills that are critical to our nation. 200- and 300-level courses are for undergraduates; 400-level courses can be taken by either undergraduate or graduate students; 500-level courses are for graduate students. Click through the links for information on current and recent offerings of each course. CS 241 (System Programming): introduces threat, access controls, and vulnerabilities. CS 411 (Database Systems): focuses on the design, implementation, and optimization of query languages; security and integrity; concurrency control, and distributed systems. CS 412 (Introduction to Data Mining): focuses on the design and implementation of data warehouse and online analytical processing (OLAP). CS 423 (Operating Systems Design): introduces protection, encryption, threat, policy, and coding practices. CS 425/ECE 428 (Distributed Systems): covers credentials and encryption/decryption algorithms. CS 427 (Software Engineering I): introduces planning and good coding practices. CS 428 (Software Engineering II): introduces access controls, secure protocols, and secure code. CS 438/ECE 438 (Communication Networks): covers signatures, encryption/decryption, and protocols. CS 461/ECE 422 (Computer Security I): covers ethics, privacy, notions of threat, vulnerabilities and risk in systems, information warfare, malicious software, data secrecy and integrity issues, network security, and trusted computing, among other topics. CS 463/ECE 424 (Computer Security II): covers program security, trusted base, privacy, anonymity, non-interference, information flow, confinement, advanced auditing, forensics, intrusion detection, key management and distribution, policy composition and analysis, formal approaches to specification and verification of secure systems and protocols, and topics in applied cryptography. CS 511 (Advanced Data Management): addresses concepts in data management and information system design and implementation, and recent developments in the field. CS 512 (Data Mining Principles): addresses data cleaning and integration; descriptive and predictive mining, mining frequent, sequential, and structured patterns; clustering, outlier analysis and fraud detection; stream data, web, text, and biomedical data mining; security and privacy in data mining. CS 523 (Advanced Operating Systems): addresses non-repudiation, authentication, delegation, and confidentiality. CS 563/ECE 524 (Advanced Computer Security): addresses current research trends in computer and network security. ECE 316 (Ethics and Engineering): studies ethical issues in the practice of engineering. CS 210 (Ethical and Professional Issues in CS): introduces ethics for the computing profession. IS 462 (Information Assurance): provides an introduction to the concepts, technologies, practices and challenges of information assurance. EPS 415 (Technology & Educational Reform): examines the normative and policy issues raised by the use of new information and communication technologies in education. Law 601 (Contract Law): studies the enforceability of promises. Law 644 (Copyright Law): offers an in-depth look at the legal aspects of copyright with special emphasis on application of principles to new technologies and media.